Discriptions at the bottom of page. Oakleaf hydrangea, is a cultivar of typical size but better branched, with 12" clusters. 6-8’ plus, large-lobed leaves, white flowers. Compact Growth, bright pink flowers. (typical for the species is 5-10’). It has broad, apple-green leaves 4-6” long, carries large pompoms from late spring to fall. 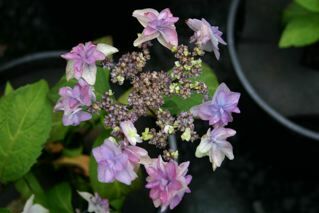 ‘Beni Gaku’, [ Hy-B—01 ] serrata, Lacecap, The flower clusters are initially cream overall, the outer ring changing to pink and finally darkening to purplish red. 4’ compact, dark leaves. 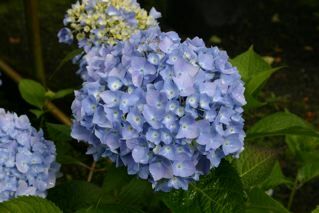 ’Domotoi’, [ Hy-d-01 ] macrophylla , Mop Head, is one of the larger cultivars, unusual for its full clusters of semidouble pink to blue flowers. Fasan- [ Hy-F-30] macropylla, Lacecap, Large darl red sterile flws around rose fertile flowers. ‘Glowing Embers’, [ Hy-G-01 ] macrophylla , Mop Head, is a truly dwarf (2-3’), compact, smaller leaved plant with smallish clusters of vivid red flowers. 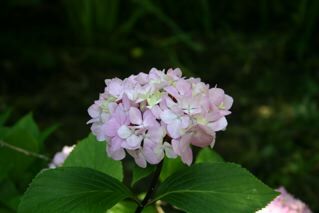 ‘Jogasaki’, [Hy-J-01 ] macrophylla, LaceCap, Double Soft pink sterile flowers surroubd fertile flws. 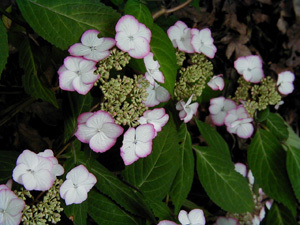 ‘Kiyosumi’ [ Hy-K-01] Serrata, Lacecap, White sterile flowesr, have pink edges. Red new leaves. 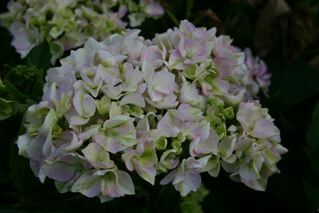 ‘Lemon Wave’, [ Hy-L-01 ] , macrophylla, LaceCap, One of the more recent introductions, with cream, bright yellow and light green variegation on a deeper green background. 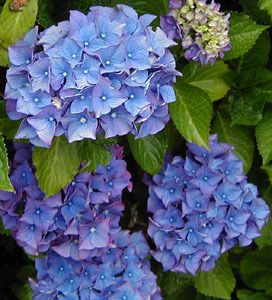 The flower clusters are large, pale in color and tinged with lilac. ‘Madame Emile Mouillere’, [Hy-M-01], macrophylla ,Mop Head, Large pure white flower heads age pink, green. 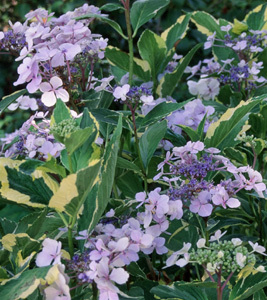 ‘Mariesii, Variegata’ [ Hy-M-02 ] macrophylla, LaceCap, is nearly identical to the original ‘Mariesii’ except for cream- variegated leaves. ‘Merritt Supreme’, [ Hy--M-04 ] macrophylla , Mop Head, is a robust plant producing an abundance of broad carmine “mops”. ‘Miyama-Yae-Murasaki’ [Hy-M-03] serrata, Lacecap, Full heads with double violet to pink sterile flowers. 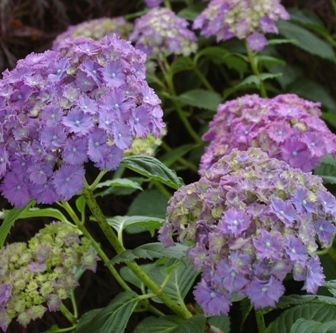 ‘Nigra’, [ Hy-N-01 ] macrophylla , Mop Head, A compact, tidy plant notable for its nearly jet black stems and deep green, purple tinged leaves. The flowers are purplish rose in color. 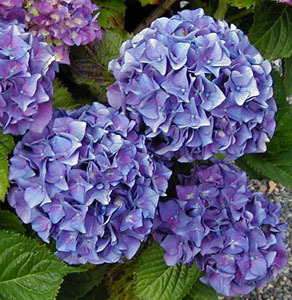 ‘Parzifal, [ Hy-P-01 ] macrophylla, Mop Head, Large tight flower heads, pink to blue. Good Form. ‘Penny Mac’, [ Hy-P-02 Mop Head, Very long season, blooms on new or old wood. 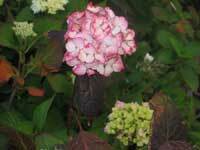 ‘Pink Diamonds’ [ Hy-P-03 ] paniculata, PeeGee hydrangea, large white lacy flowers, cluster age pink. 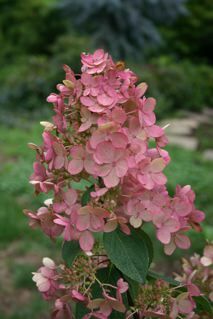 ‘Pink Lace, macrophylla, Lace Cap, A more recent selection, similar to ‘Mariesii’ but distinguished by larger and brighter pink flower clusters. ‘Preziosa’, [ Hy-P-04 ]. Serrata, Mop Head, is a compact hybrid, growing 3-4’ high. It has dark stems and closely packed leaves, strongly tinged with red. The cream, red-lilac flower clusters that open pink and darken as they age, nearly to crimson. 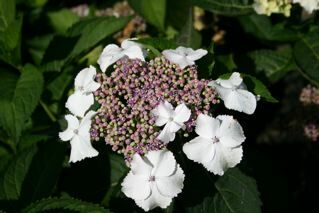 ‘Shooting Stars’, [ Hy-S-01 ] macrophylla, long stalked white double flowers, unique semi-lacecap. 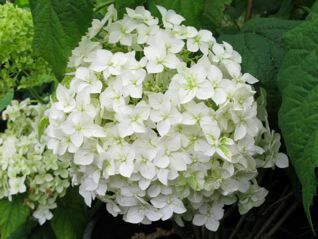 ‘Sikes Dwarf’, [ Hy-S-02 ] quercifolia, Oakleaf hydrangea, is quite compact, growing only about 4’ tall, with smaller lobed leaves and smaller (6-8") white flower clusters. 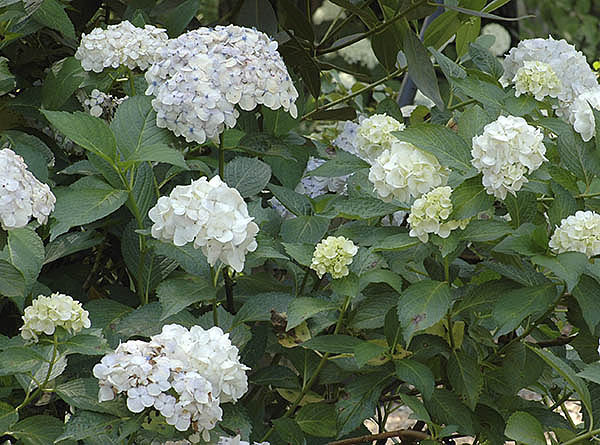 ‘Sister Therese’, [ Hy-S-03 ] macrophylla, Mop Head, is a robust plant with large clusters of white, single flowers. 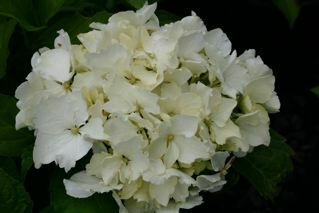 It is best when grown in light shade, since the flowers are easily browned by the sun during summer heat waves. 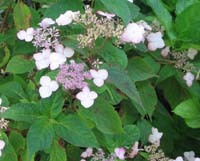 ‘Teller Red’, [ Hy-T-01] macrophylla, Lace Cap, is a lower, more spreading plant with huge clusters of purplish red flowers. The fertile flowers are ringed by a double row of very large sterile flowers. 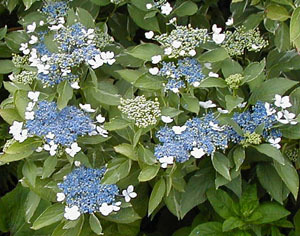 ‘Teller Snow’, [Hy-T-02 ] macrophylla, Lacecap, Bushy shrub to 5’ white flowers. ‘Tokyo Delight’ [Hy-T-03 ] Lacecap. To 6’, bushy. White lacy fl. Clusters age pink. Webb’s, [Hy-W-02 ] paniculata, is a more compact, tidy shrub with bright green 2-3" leaves. The flower clusters seem a little smaller than those of ‘Grandiflora’. 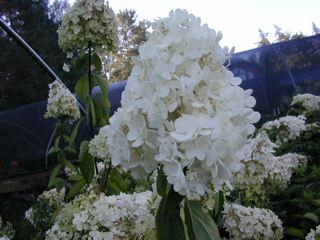 “White Lace” [Hy-W-01 ] or ‘Grandiflora’, - paniculata, [nicknamed PeeGee hydrangea, are often 1’ or more long. Most species thrive in sun or light shade near the coast. Some shading may be desirable inland. 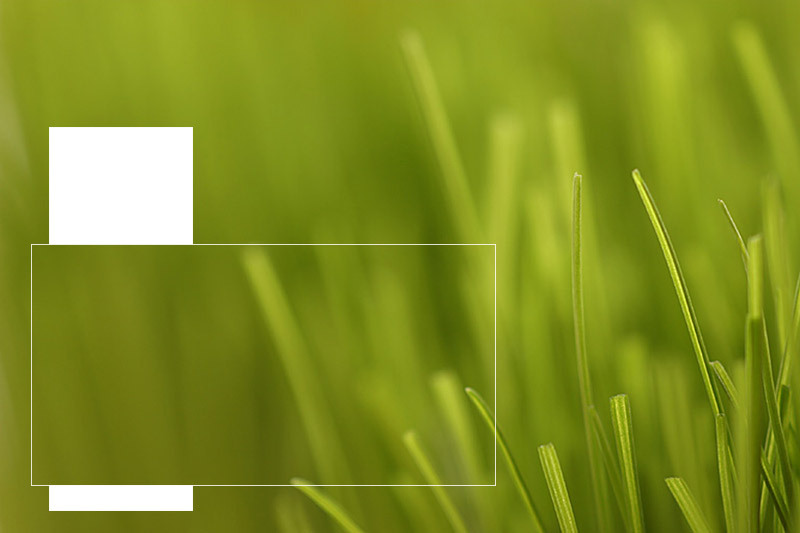 Ordinary soils, regular watering and fertilizing. The following are hardy to 0 oF or less, except as noted. anomala ssp. petiolaris. Japan, Korea. This is a far cry from the typical garden hydrangea. It is a profusely branched vine, clinging to walls, trees or any other available support with adhesive aerial roots. 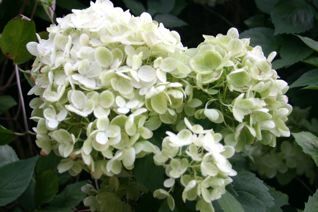 It has broad, shiny, bright green leaves, 2-4" long, smoother in texture than those of many hydrangeas. In summer flower clusters up to 10" broad are borne at the shoot tips. These are of the lace cap form, and white in color. The effect is spectacular, particularly on a large plant. arborescens ssp. radiata... It grows a bit more slowly than the typical form, and possibly not quite as tall. The leaves are broadly heart-shaped and dark green on their upper surface. The undersides, however give a striking contrast of chalky grey. The flower clusters are typical of the species, made up of fertile white flowers. aspera. This is a robust shrub or small tree, growing 8-12’ high and wide. It is somewhat openly branched, with rather thick stems and striking deep green, densely hairy leaves. The leaves are up to 8" long in this form. It is further distinguished by its “lace cap” flower clusters, up to 1’ broad, with blue to purple fertile flowers and white to lavender outer, sterile flowers. It is quite a spectacle, if you have the space to display it properly. macrophylla. 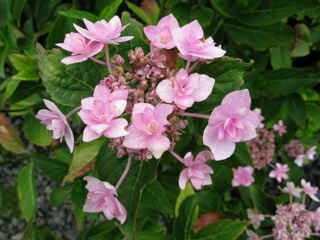 These are the typical garden hydrangeas. They are of moderate size, growing 4-8’ tall and rounded in form. Most are rather widely branched, with heavy, somewhat awkward stems. However, these are well concealed from spring to fall by broad, shiny, deeply veined leaves usually 6-10" long. Two types of flower clusters are represented in the modern hybrids: the lace cap form, described above for the genus, and one made up mostly or entirely of the larger, flatter sterile flowers, often referred to as the mop head type. The overall clusters of some selections are truly monstrous, bowing over the branches which carry them and giving the plants a bedraggled look. Pruning the plants to force rebranching reduces this problem and yields shapelier plants. An interesting feature is the response of flower color to the pH of the soil. 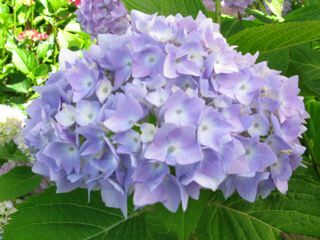 Flowers which are pink in neutral or slightly alkaline soil (more than slight alkalinity makes the plants chlorotic) turn blue or lavender in acid soil, though different selections respond to different degrees. Hardy to below 0oF. paniculata. H. paniculata is one of the larger species, potentially even a small tree. It has pleasant but undistinguished 3-6" leaves, coloring well in the fall. However, it makes a spectacular show of white flowers, in pyramidal clusters in summer. quercifolia. 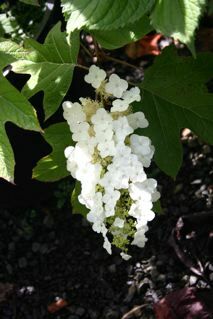 Oakleaf hydrangea, a shrub of moderate growth, reaching about 6’ by 6’. It has large, deeply lobed, fuzzy leaves which color well in the fall. White sterile and fertile flowers are intermixed in pyramidal clusters up to 10" long. serrata. This species seems to be the subject of a minor taxonomic war. Some botanists include it as a variety of H. macrophylla, which it closely resembles, while others carve out a separate species. I will go with the Royal Horticultural Society for now. Plants included under this heading are of about the same size as those of H. macrophylla, but have generally smaller leaves with noticeably sawtoothed margins. The flower clusters are up to 4" broad and typically of the lacecap form. villosa (aspera ssp. aspera, aspera ssp. villosa). Its botany is confused, but this remains a most beautiful shrub, described by Graham Thomas as “the queen of the tribe”. It grows about 6’ tall, at least 8’ broad, the branches covered by pale, flaking bark. It has large lance shaped leaves, dark green and textured on the upper surface, white-woolly beneath. The flowers are borne in large lacecaps, each showing a ring of pale sterile flowers around a broad cluster of lavender fertile flowers. The effect is stunning overall. Price: 1 gallon: $12.99, 5 Gallon: $39.95 – unless noted different in variety description. protected and cherished flowering bushes there is. with their great contribution to the cut floral industry. but large and stately look about them. They are tucked inside the garden fence or close to the house. They make great cut flowers, and add a richness to the vase. And they seem to have a calming nature about them. Easy to grow, they just love water and part shade.